A sad little church on the outskirts of the Suffolk village of Long Melford. 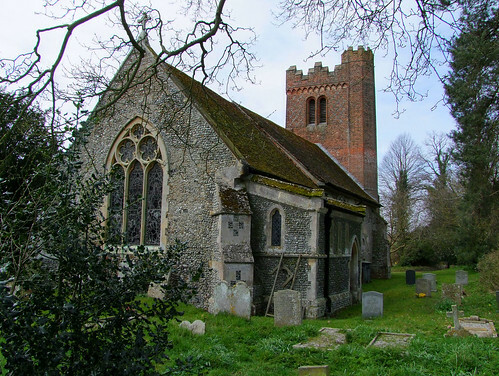 The parish are too elderly, lazy or incompetent to open the church to pilgrims and strangers - like its neighbour Borley, it has been locked many a long year, opened only for the secretive activities of the Sunday Club. I only hope they never apply for grant aid of any kind.